Classroom teachers can use FitBitsTM for 7–10 minute physical activity breaks while simultaneously teaching nutrition concepts. Studies indicate that physical activity breaks improve concentration in students and thereby increase learning. 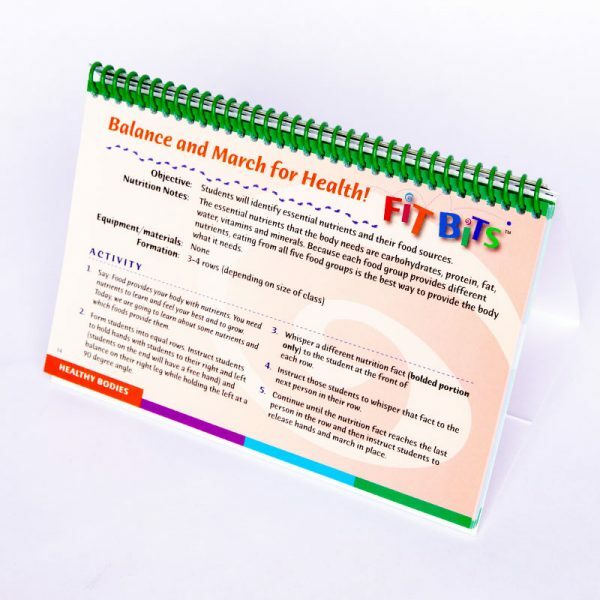 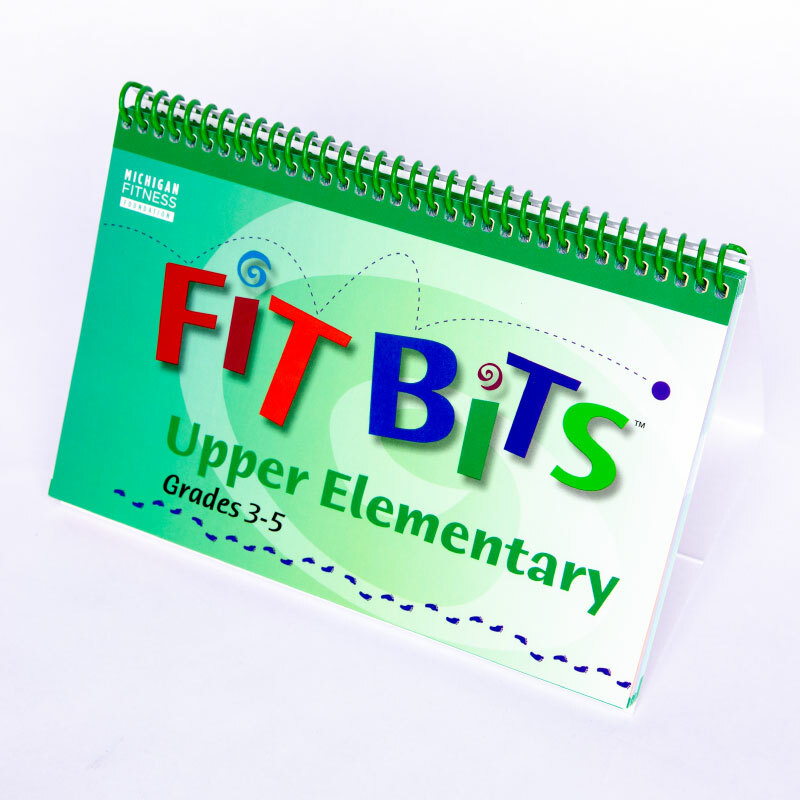 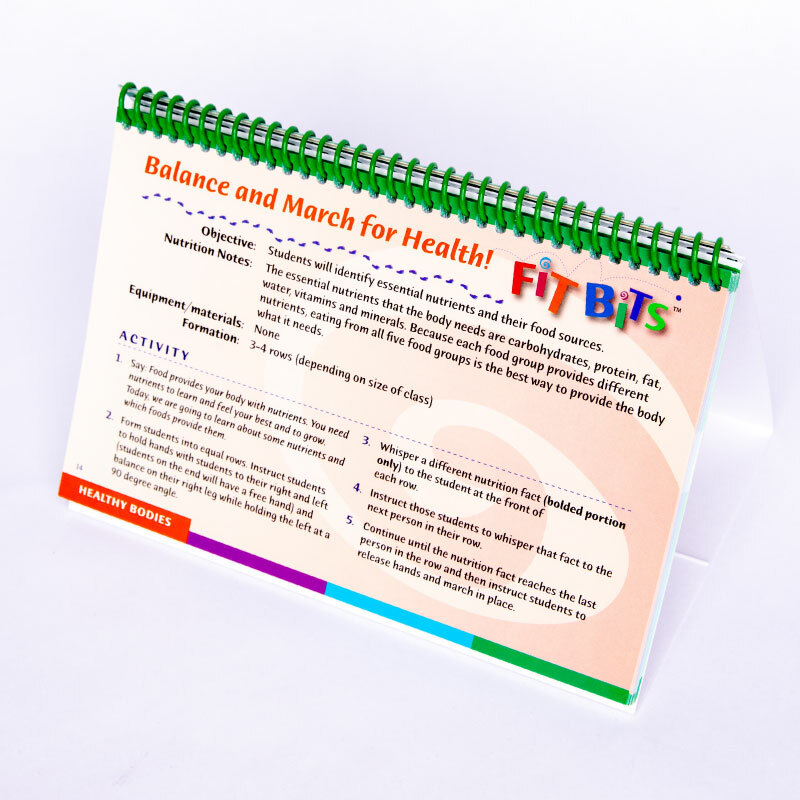 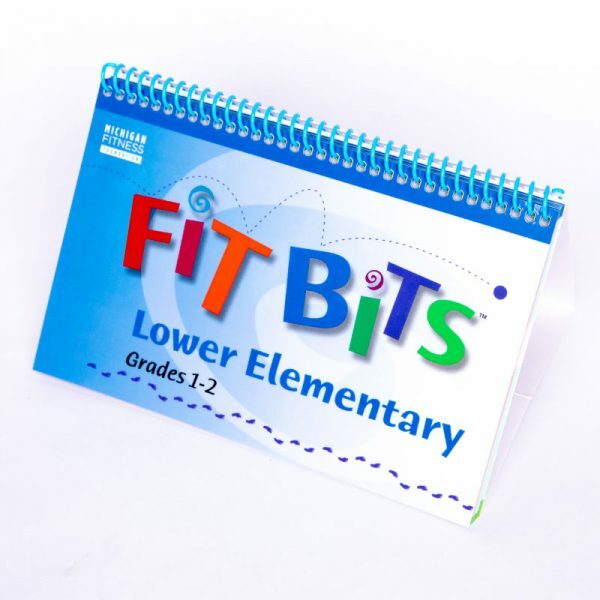 There are three FitBits books, each targeted at specific grade levels. The kindergarten book includes 30 activities; the lower elementary (grades 1–2) and upper elementary (grades 3–5) books each have 40 activities. 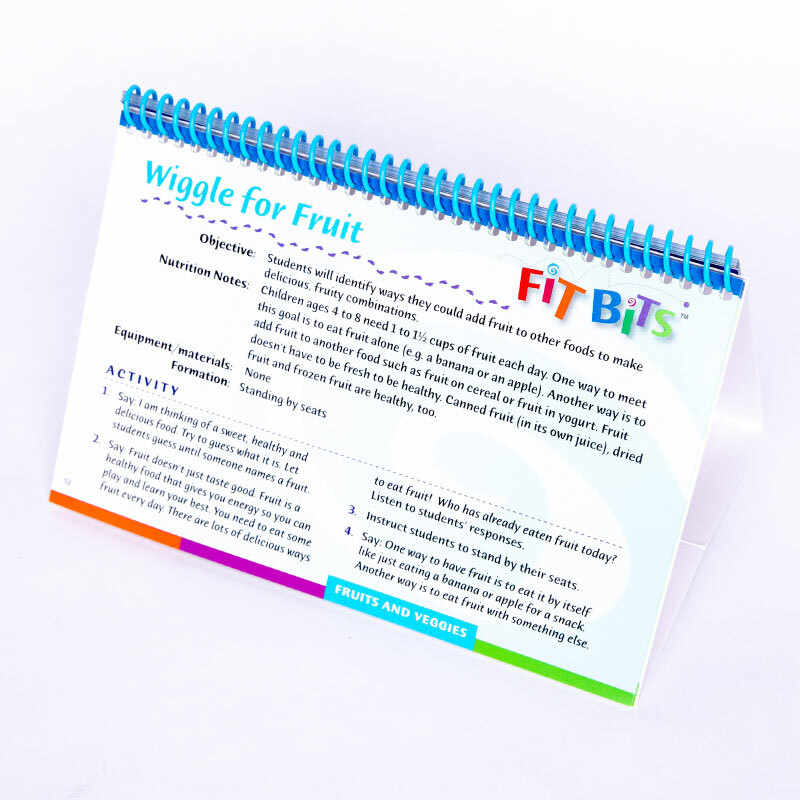 The nutrition concepts include: healthy bodies, food groups, fruits and veggies, and healthy snacks. 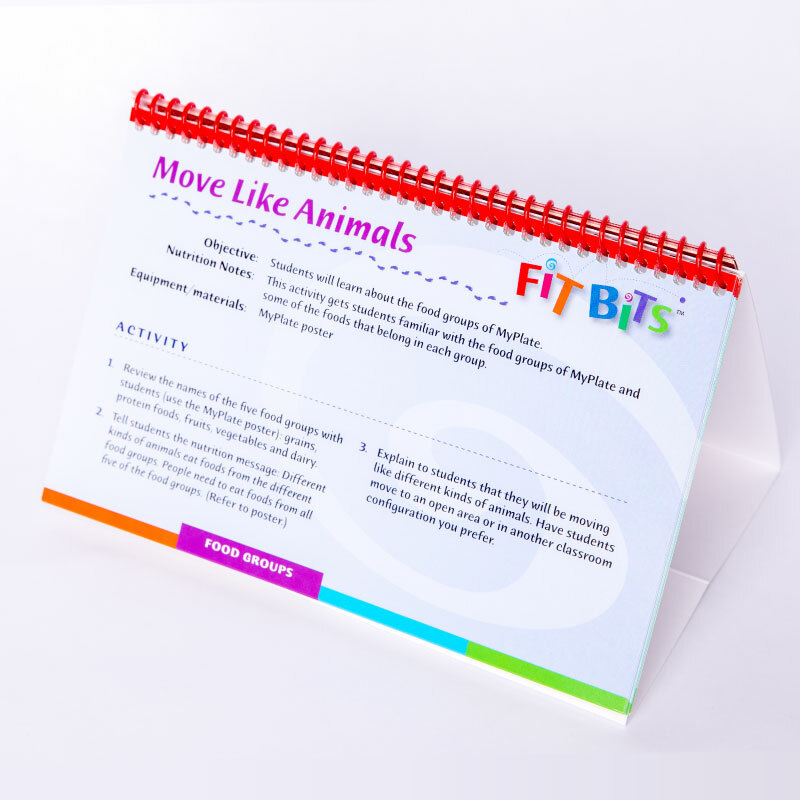 Each book also includes a CD with music to optionally play during the activity.